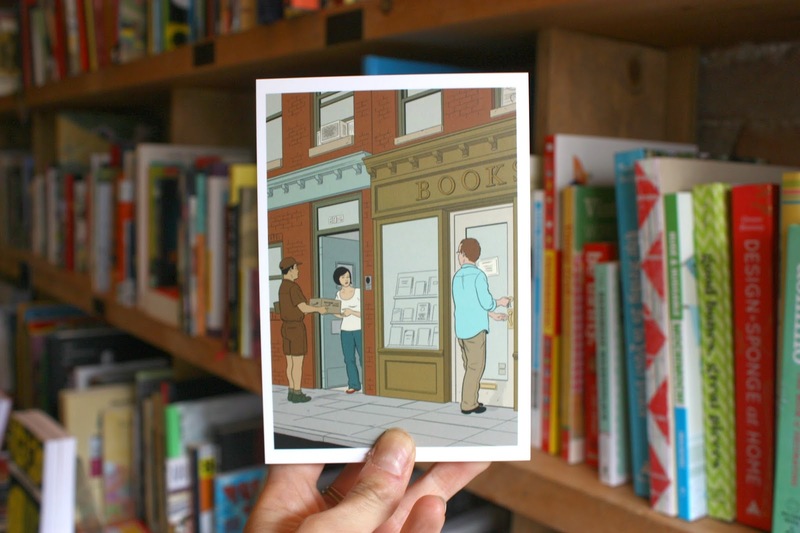 Hold onto your hats, people, because we've got a doozy of a new release out today: Adrian Tomine's New York Postcards! 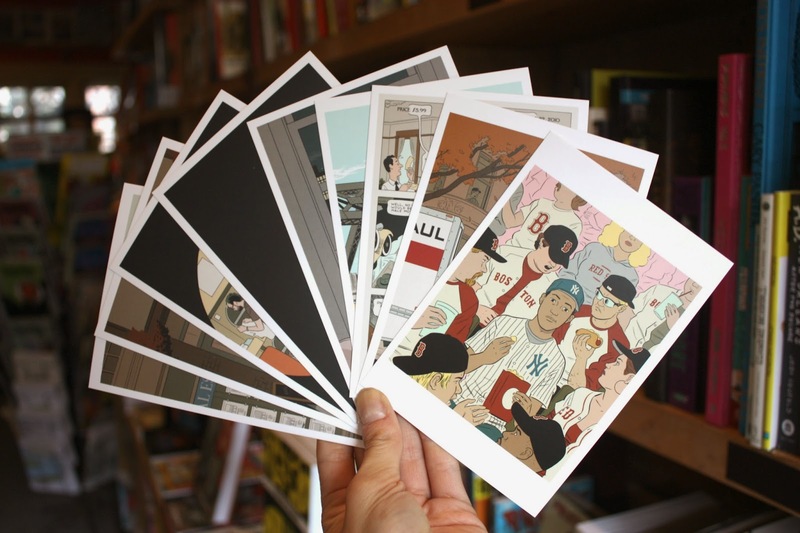 Adrian Tomine's beautiful and compelling New Yorker covers have been leaving their mark on the public at large for years, and now you can have thirty of his most iconic images to do... whatever you like with! Frame 'em, mail 'em, hoard 'em; no matter what, they'll be there, looking gorgeous. 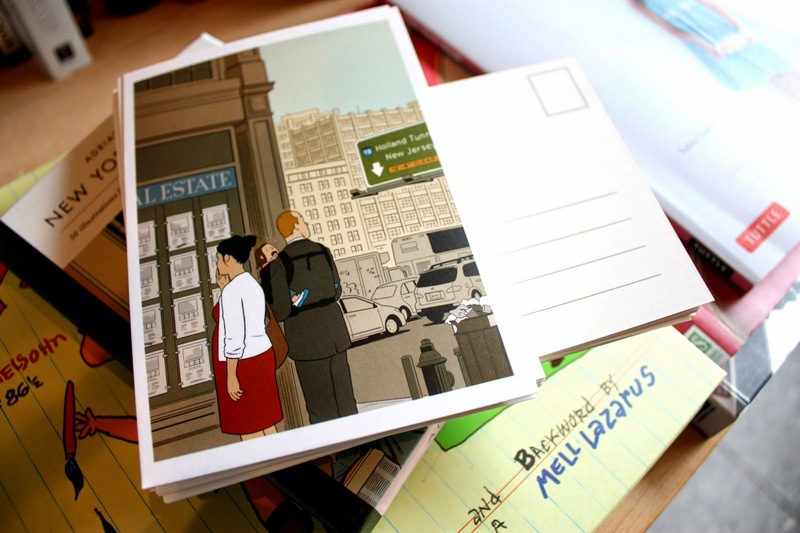 Those of you familiar with New York Drawings will recognize a lot of work shown here, but a few newer illustrations that have come out since the début of Drawings are included as well, along with some of his more famous sketches. Just thinking of getting one of these bad boys in the mail is almost too much to handle, and at $14.95 for the set of 30, you'll spend more on postage than on the set itself (just a little topical humour for y'all, feel free to tell me how gosh darn funny I am). So come on down, buy some Tomine, and tell your mother you love her. 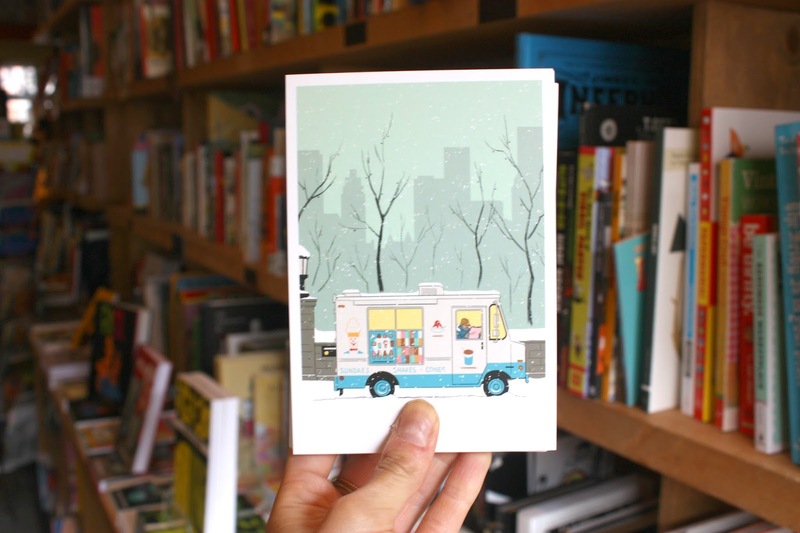 Heck, you can mail one to yourself and tell yourself how much you love you! Wouldn't that feel nice? !